My first build, all metal delta "The Imp"
This is my first post by I follow the forum since 2013, after month and month of waiting I can finally start to build my delta. 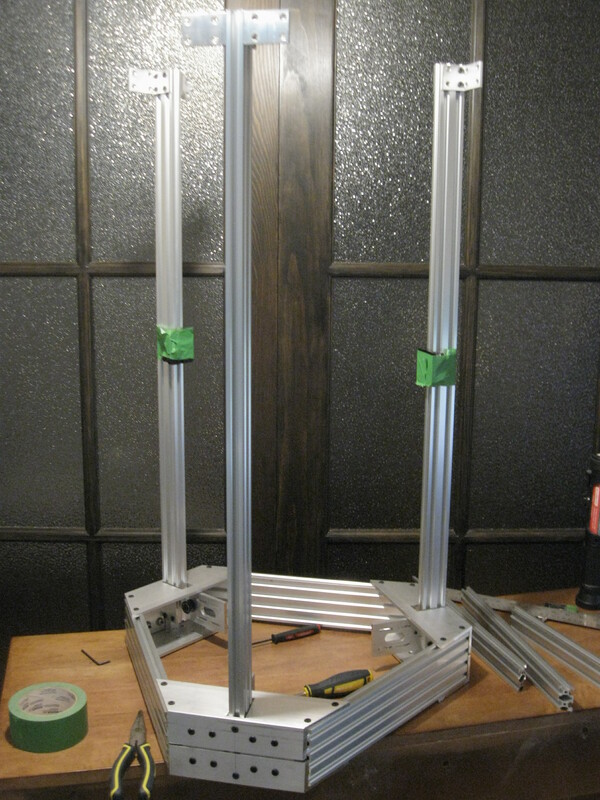 I start the design of my printer in feb 2014 spend a year researching and building many cad model to allow a easy build with adjustment all around. 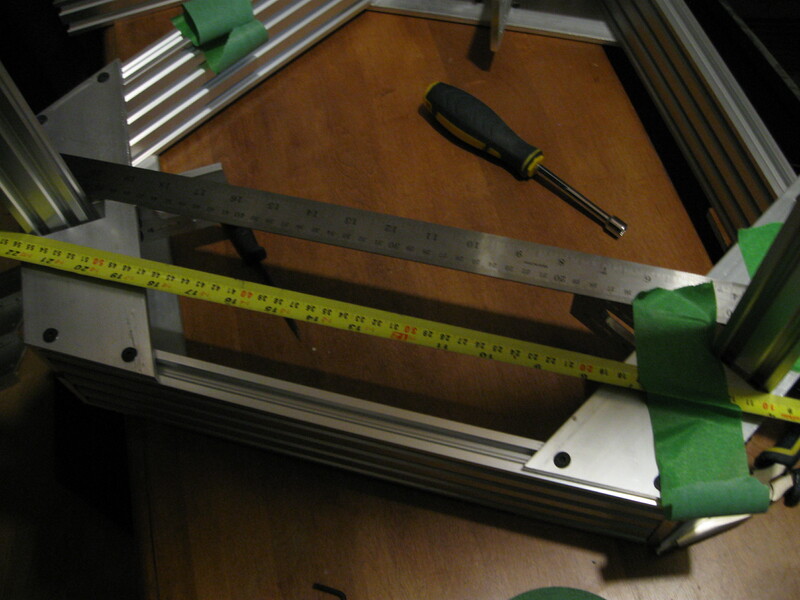 After my design was locked in feb 2015 I start to build the frame, its all made of aluminum angle and V-slot that require only a few tool , drill press and a table saw with a metal cutting blade. 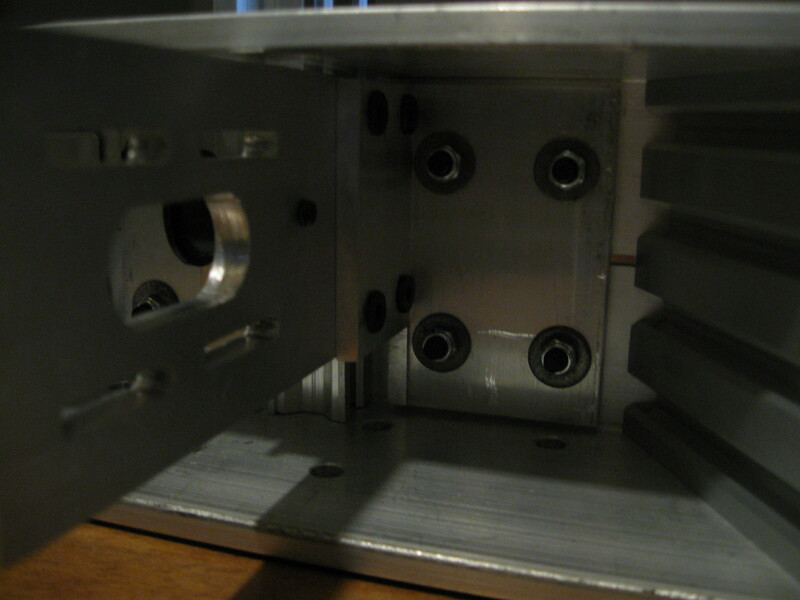 I finish the frame in March but I had to send some part to a machinist to get precise part and that where the nightmare start... 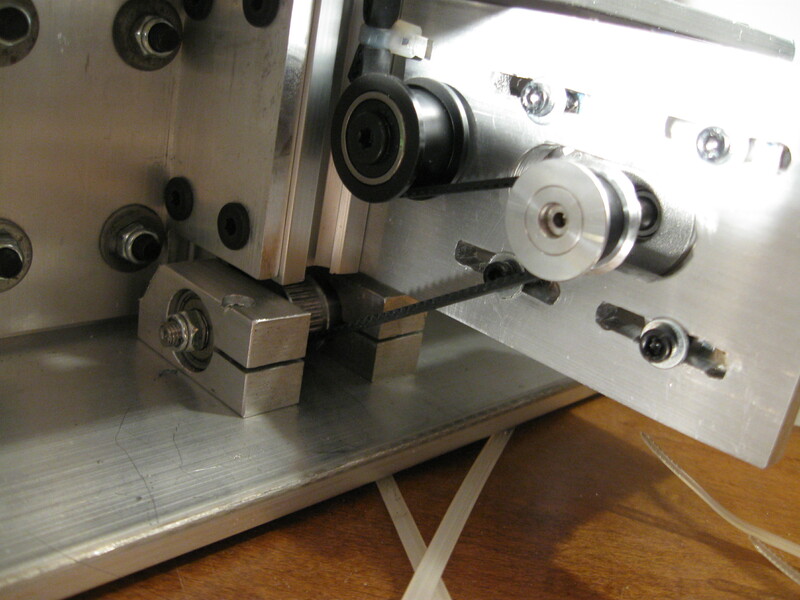 So I contact a friend of a friend who is machinist and he told me he can do the parts after the summer holiday, because I had a reduce price and not the full shop per hour price I decide to wait till the summer and get my part done. I send him the material needed for the part in august and then he start to tell me it will be done in 2 week, 2 week later another 2 week and its was like this for a while! Can you believe I just receive my part this week! Took him 6 month! not counting April till august for a less than 8 hour job! I don't have to say that I will NEVER EVER do business with him again and the worst is the parts he send me half of it is off specs so I have to do mod in my design to fit them now. Edited 1 time(s). Last edit at 02/11/2016 12:54AM by GroupB. 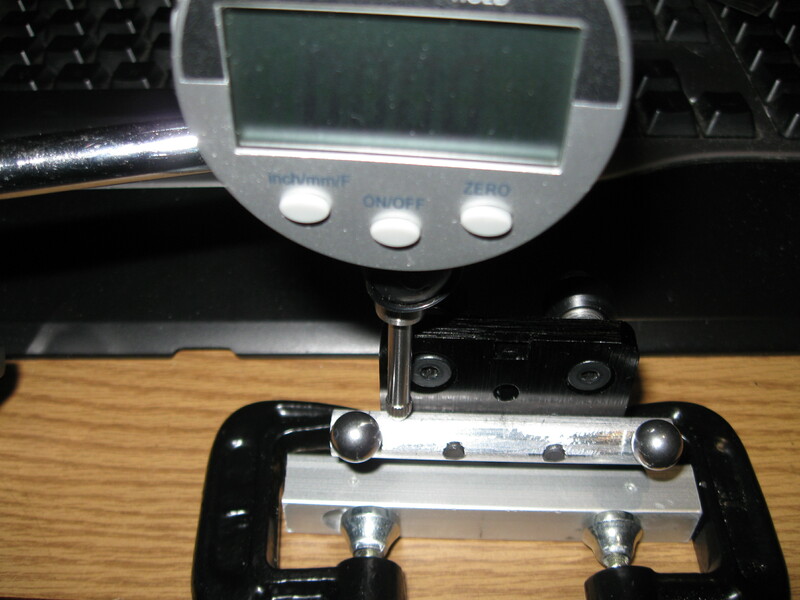 Re: My first build, all metal delta "The Imp"
Its really hard to align the ball's perfectly, I nail the distance between the 2 with my jig but the UP/DOWN adjustment is really hard, not only align one set on one carrier but to align all carrier the same. Took me a couple hour but I manage with my dial to place all ball's of all my carrier to a 0.0005 difference ( the resolution of my dial ), dead center on the carrier, same height same distance between ball's. Better take my time and make sure everything is align and precise than rush it , after month of waiting for parts , a week is not gonna kill me. I wish mine had that sort of stiffness and precision. I've spent the last week or two trying to tune out a persistent scaling issue in my printer, something that I'm sure yours won't have. 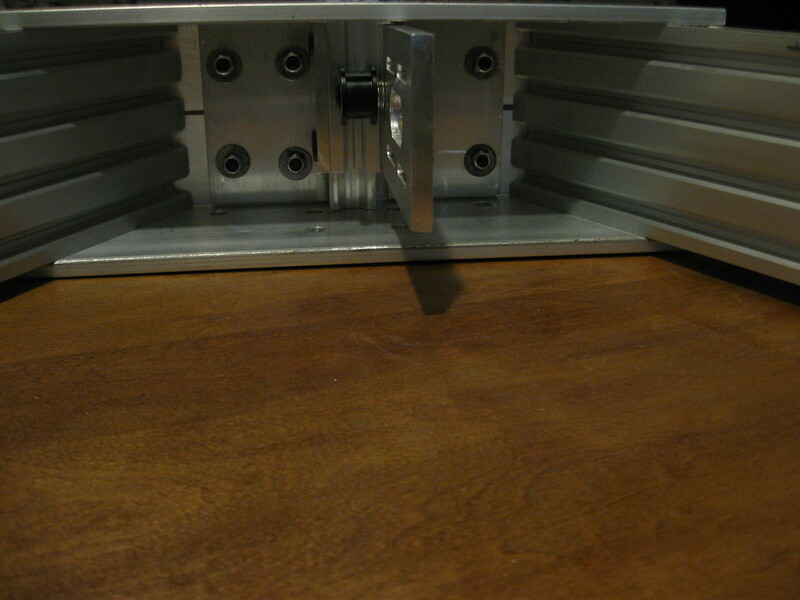 Any reason why you went with rollers and not linear bearings? 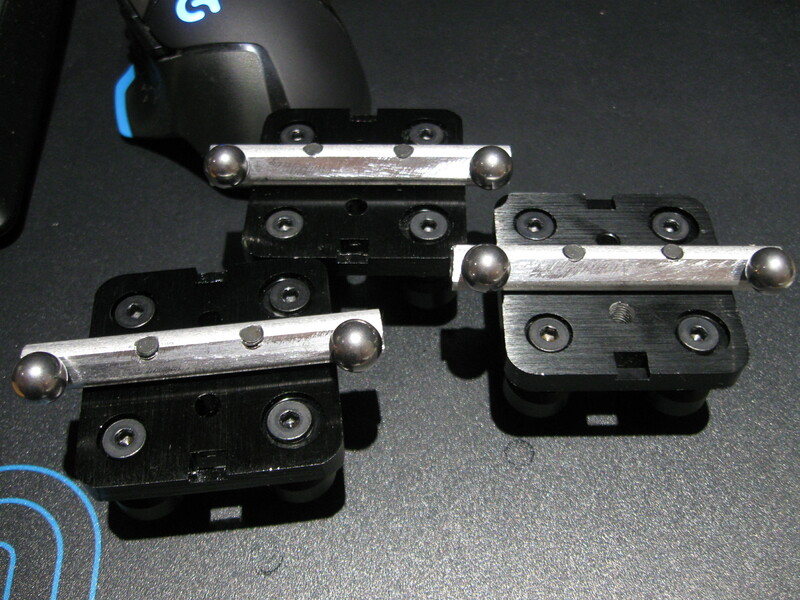 There was no cheap linear from china when I start to gather my parts 2 year ago and the price of those in North america were too high to consider ( talking about one meter rail here don't forget ) and roller carrier are lighter so can enable faster speed. 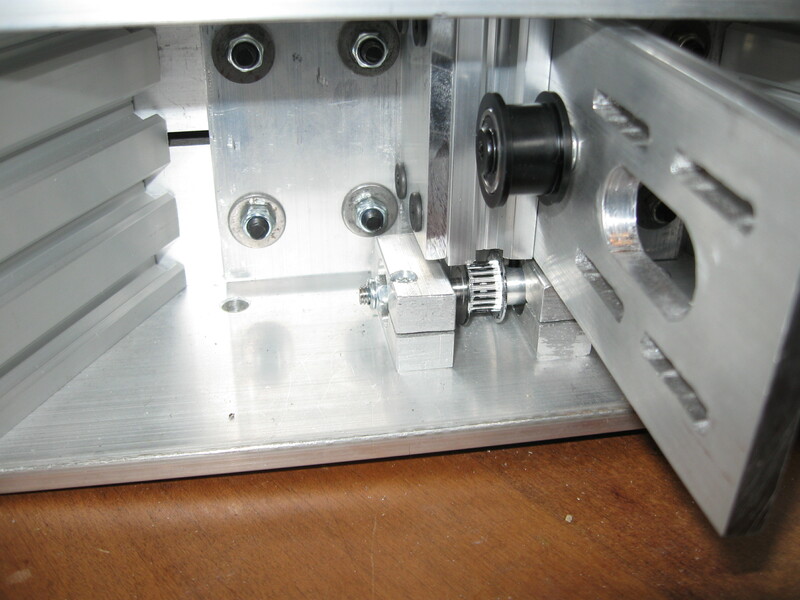 But nothing stop me from adding linear rail later if I find the roller is not doing the job it will cost me a little print size but I can afford to lose some. The goal here was to get it running then do some upgrade,spread the cost a little bit, I already spend quite a bit for the aluminum as you can imagine ( yeah I know I went little bit overboard with .250 angle but it will be a solid frame and more when it gonna be enclose. First make it run , them upgrade to heat chamber and dual water cooling head, then fix and upgrade some part to make it better. 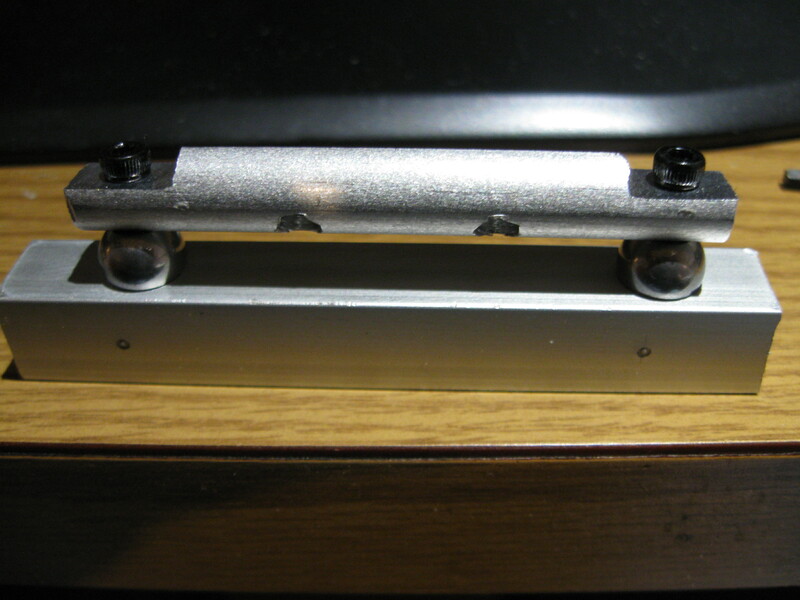 I know rail are more precise but a least I have the best roller "the V-Slot". Today I finish installing the top frame and top bearing are in place, now im trying to install the bottom bearing and that where the fun start... because of the off specs bottom shaft with too long thread at the end (.375" and suppose to be .3 " ), I have to find a way to shorten my bearing housing , I cannot just move them closer because there is the 20X40 between the 2 housing and in my original design they both touch the beam on each side. Drilling deeper to move the bearing look like a good solution but because I slot them I don't know if it gonna work, if its not working I will make 3 new housing I guess. Tomorrow Im gonna make the carbon arms, any advice on cutting those ? metal handsaw ? dremel cutting disk ? I know its a heath issue and I dont have a large enough container to cut them submerge in water so im gonna cut them outside with glove a mask. Is the issue that the shaft itself is too long? I'd just throw it on a grinder to shave off the excess. Or if the thread has been cut too deep then it doesn't really matter so long as the uncut shaft touches the inner race of the bearing. Hard to tell from your description. Now for something I do have experience with: cutting carbon. The easiest way I've found is to drown the piece in oil, and add more liberally while cutting. You want to go slowly so you don't throw oil around everywhere (or cut inside a bucket). If you keep the cut well oiled then the dust doesn't become airborne and it's relatively easy to clean up. I don't have experience with such low temperatures, but I wouldn't think that it would become brittle, carbon fibre is pretty stable stuff. I've had good luck with diamond tile cutting blades, but I ran that at relatively low speed. Maybe only 1500rpm on a 3in blade. I think dremel might have some diamond coated disks. Wrap the cut area in masking tape tightly, helps to lower splintering and breakout. A diamond file can do a decent job of smoothing out ends too. 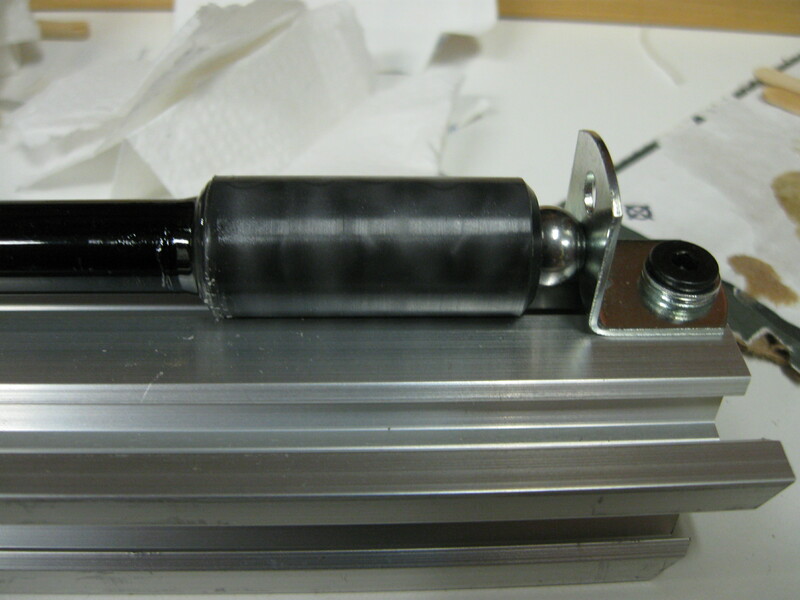 I got a cheap one from a local home improvement store that I use for glass or carbon fiber stuff. 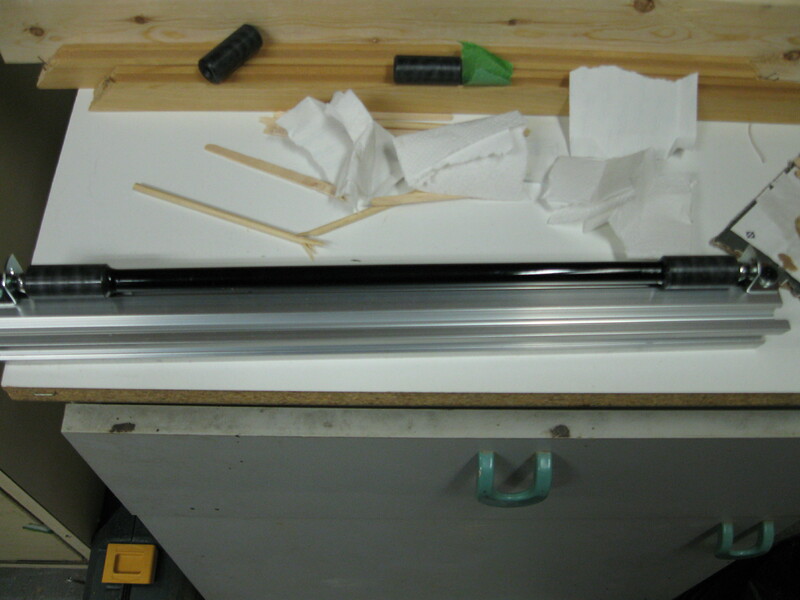 When I got the arms for my current machine I took the easy route and had the place that made the tube cut it to length. Nice clean straight cuts, all pieces very very close in length. Well worth the extra cost to me, I hate cutting cf myself. The shaft thread are too deep, and the bearing dont touch the inner cylinder but sit on the thread because of that, so move the bearing deeper or do new housing. Just finish cutting the carbon fiber, I use a copper tube cuter, the one with the little cutting wheel and you turn and apply pressure. It was wonderful , no dust at all , couple large fiber only and a clean cut because it work outside toward inside so no break fiber. Too bad I did not cut right on the line and lets me a couple MM to file down just in case because the cut were nice, I finish it with a wet sanding paper over a wet paper towel. one of them came a little short but its alright the carbon length is not important in my design. off course I wear glove but there were no need for the mask, eye suit whatever protection needed with that way of cutting it. I had trouble with the shaft that were off specs , look like they are not that straight also. I have to redo half of the housing to match the shaft and spend lot of time trying to screw them to the delta without them binding but I finally did it. To add to that my drill press went dead so I had to buy another one this weekend. 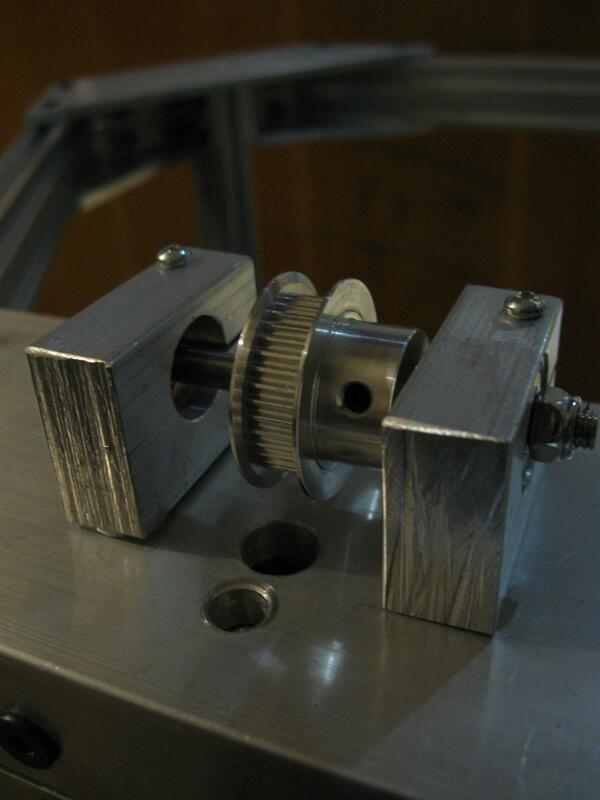 I also install the motor and the tensioner , the tensioner is a spacer kind of, place on one of the frame screw so I can tight the belts by moving the motor on the slot and unscrew that spacer to block the motor in place. 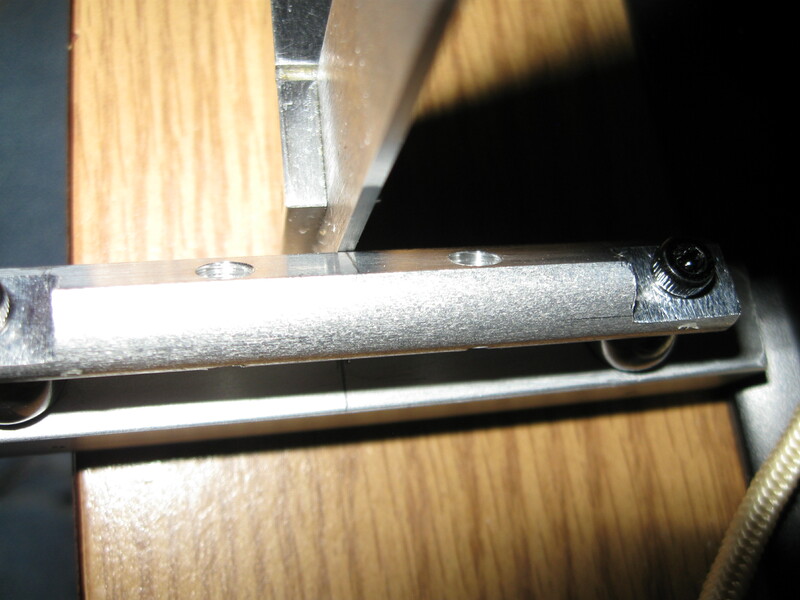 Those were originally made to space the bed and adjust it and screw into load cell to act as a proximity switch but I decide to screw the bed directly on the frame and use some something else as proximity. Im gonna put the belts in place then assemble the arms. 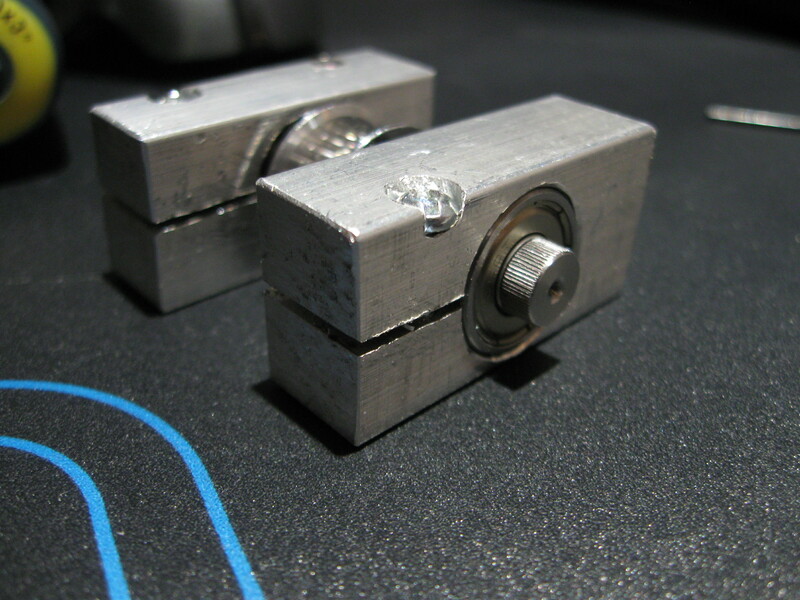 The Duet has a North America distributor too, see [www.filastruder.com]. I only wish they were a duet with removable drivers, not stuck on 1/16 drivers... I made a board for the due with Kicad fixing what I dont like about radds, Like radds lack mosfet driver or proper 3v logic mosfet and I prefer Dpak style for better cooling ( they not really rate for 3v logic) and no filter/bypass cap at the mosfet ( a least they got the diode at the exit of the mosfet). But since I dont want to wait couple week to get it running I chose to buy one right now and maybe make myself one later when I finish putting the track together and find a good deal for prototype board. With the intel (edison) getting into the arduino world with more cpu power, its better to wait and see what will come out of that. I got some problem, the magnetic cup I receive from that %[email protected]%@ machinist are not straight at all , on 15 cup, 4 of them are usable and all the rest were not tap straight... 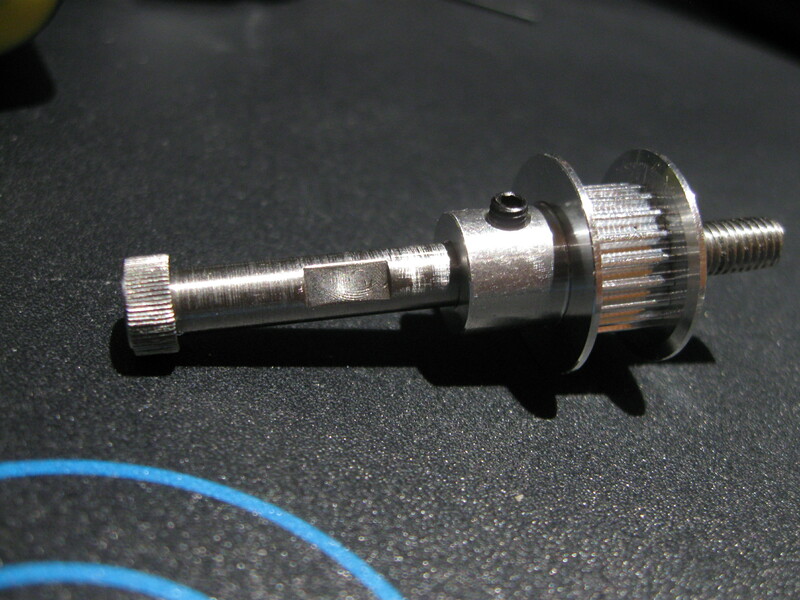 I also had to buy a die on that size to clean the thread because they were not screwing into the cup at all. 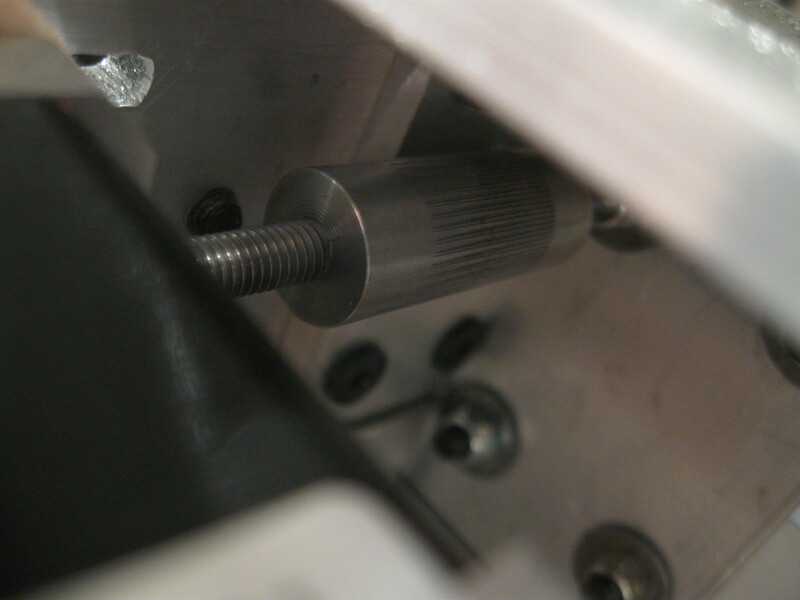 My design was to glue a screw kind of into the carbon and then screw the cup in, so I can remove them and move the magnet when they get used and allow me some option like the length of the arm or remove the magnet in case I decide to use the string on effector design. 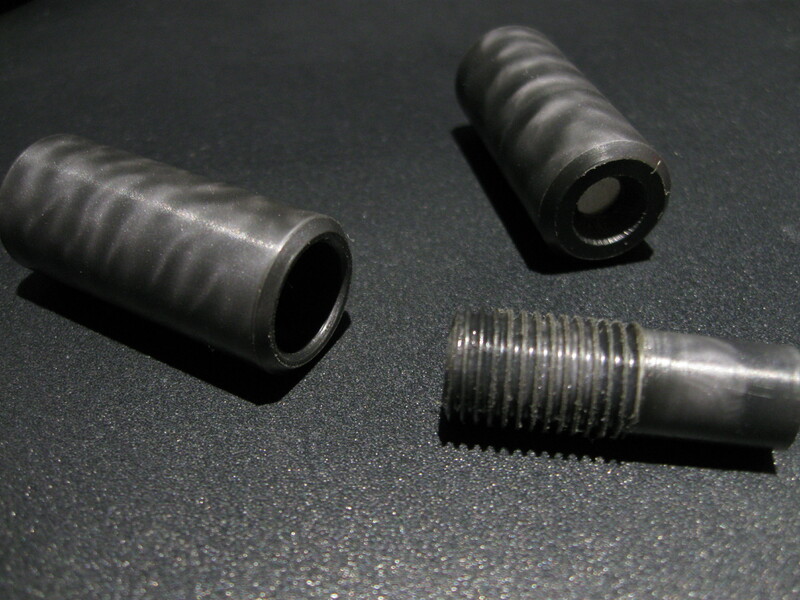 3- Buy some more reinforced nylon and contact ANOTHER machinist and spend more money to build more of them and have MORE waiting time. I also receive the radds today so Im going to start the wiring and do some test preparing the electronic side. This machinist really piss me off, for the amount of money I spend and the time it took! having all the parts butcher it really make me mad! 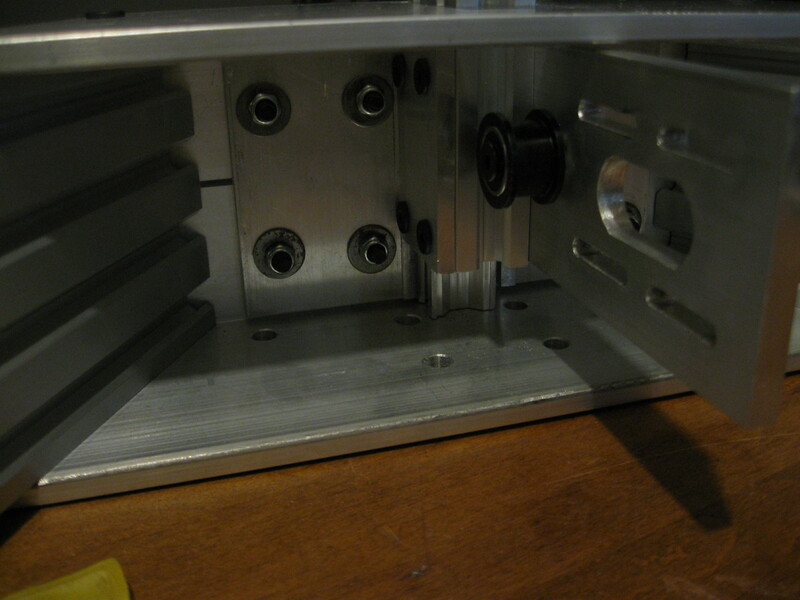 I contact a machinist to have the part made perfectly not to have to redo all of them myself! Edited 1 time(s). Last edit at 02/17/2016 07:51PM by GroupB. Finally glue the arm, so no more adjustment if needed, the tap were not straight enough to risk it. 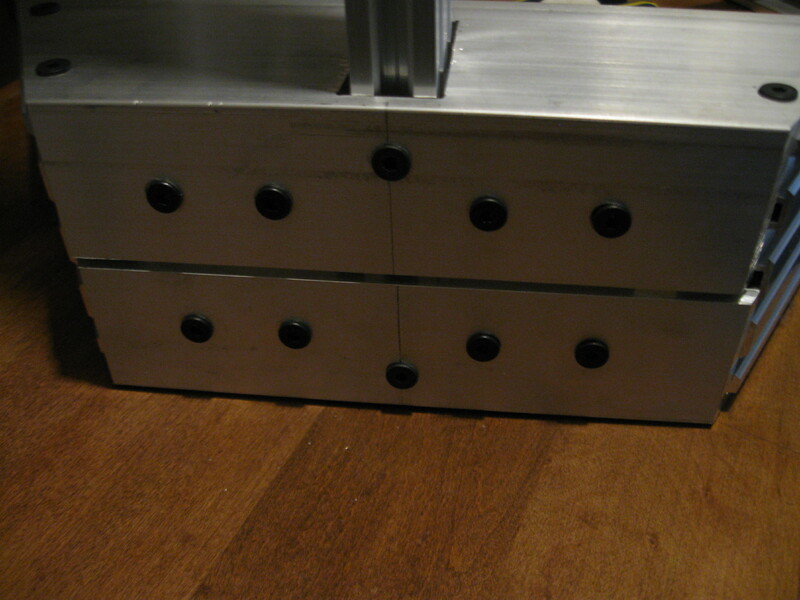 I put some tension on the belts, but I dont know how much to put really, what will happen if the tension is too weak or too strong ? anyway to fine tune those ? Next step for tonight is to align the effector ball with the dial , same I did with the carrier one, after that put the endstop ( switch or hall sensor) then I will be ready to melts my brain trying to understand firmware part of the printer. The belt tension should be "enough". You should be able to pluck it, and it should sing a low note like a big cello. Looking forward to hearing how it prints. If I remove the radds SD card with the /sys file in it, I can connect to the printer , there something in those config that broke the usb connection I guess maybe the panel due baults setting ( I dont use panel due) that conflict with the native USB, or do I need to put an ip adresse into the config file even If I dont ever connect it directly to my routeur ( arduino Due.. no ethernet) im loss here.. This should set the baud rate of the USB connection to 115200. Then of course you need to tell Octoprint to connect using 115200. I'd also set the IP address "properly", even if you don't use it. Edited 1 time(s). Last edit at 02/22/2016 08:02PM by nebbian. Fix the octiprint hang , I discover that to see the serial port or whatever usb port on due I have to hit the reset button on the radds, it look like the sd card have a hard time to boot up. Now in octoprint I can see /dev/tty/ACM0 when hook to "native port" and acm1 when hook to "programing port". none of them want to connect ... the native port while detecting baudrate hang at the first baudrate " 250000" , the programing port test all of them but fail to connect. I add that M575 P0 B115200 S1 but I dont thing its doing anything because I hear the firmware dont use that when its a native USB port, I also try removing all of the M575 and IP thing together and its a no go. what piss me off is its connect without problem if no sd card are in the radds... its connect to native and use 250000 baudrate. Can we use this firmware without a sdcard ? Edited 2 time(s). Last edit at 02/22/2016 10:57PM by GroupB. You can't use RRF without the SD card because it reads the configuration and homing files from the card. Try a different SD card. Another possibility is that something in the config.g file is upsetting the firmware. So try cutting down config.g to the first few lines. Edited 1 time(s). Last edit at 02/23/2016 02:39AM by dc42. I use this command : bossac --port=PORT -e -w -v -U true -b RepRapFirmware-1.09r-dc42-radds.bin it work and verified nicely. 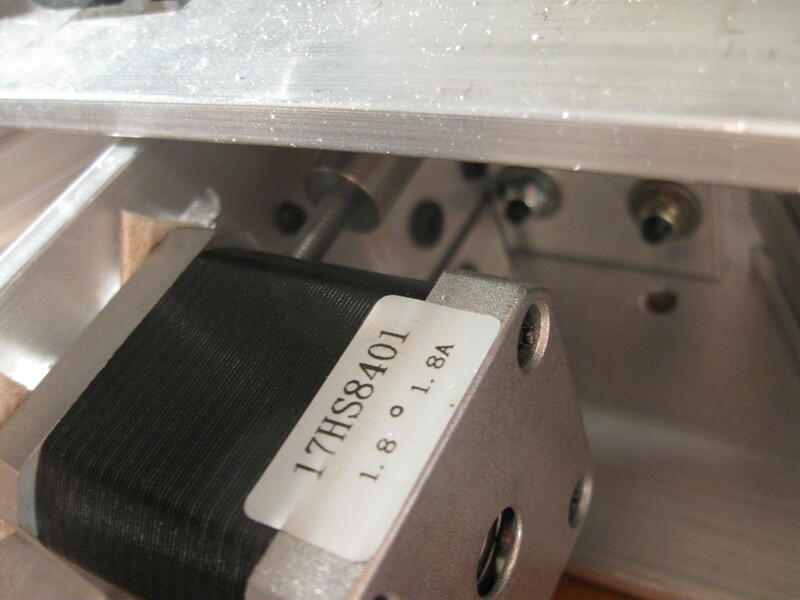 When powering up the radds, the stepper do noise for 3-4 sec then settle, and its impossible to connect to native or programing port, using octoprint, pronterface or even the arduino serial monitor, octoprint hang when testing 250000 baudrate. When I power the radds WITHOUT the sd card , the stepper do noise for a good 7-8 sec , then I can see a dim led flashing on the mosfet, and I can connect with all software on native port, no hang nothing its ultra fast. So far I try 2 micro sd card , one 16gb lexar class 10 , one 8gb kingston class 4, I even partition the 16gb to 2 gb with "Diskpart" nothing work. I also try to hook a full size sd card reader (that I know work with my Due) to the radds (miso,mosi,clk,cs0,3.3v,gnd) but it did not work the radds power like there was no sd card probably the cs0 pin not working for a ext sd card, did not try cs1. Im loss here, I tried everything I can, next step is maybe try the 1.09k firmware see if this one is bugged also. PS2: I also tried my GLCD that I mod the wiring , it take full size sd card and I try many diff card and it hang the radds also , the same way the micro sd onboard do , my other card reader did not work probably because the lask of CD on it. Edited 3 time(s). Last edit at 02/23/2016 04:53AM by GroupB. I can't really help with the RADDS port of RRF because I didn't do it. The SD card interface is different in the RADDS port, because RADDS uses SPI whereas the Duet build uses HSMCI. Dan Newman is the person who can help you. Maybe it needs a delay added between startup and trying to read the SD card. I only have 4 driver in and the endstop for test purpose, no hotend or thermistor hook, is this the cause ? Edited 3 time(s). Last edit at 02/23/2016 06:09AM by GroupB. Just an idea, are you using windows line endings or unix line endings? Have no idea of what you talking about. Try removing lines from the config.g file, in particular the T0 command at the end. Edited 1 time(s). Last edit at 02/23/2016 07:55AM by dc42.